The Yamal liquefied natural gas project is estimated to be worth $27 billion. Russian fuel will account for 12 percent of all gas consumed in Spain, Russian media reports. Spanish natural gas utilities company Gas Natural Fenosa signed a liquefied natural gas (LNG) contract in November 2016 worth over 30 billion euros with Russia's Yamal LNG, which is planning to launch a gas liquefying facility beyond the Arctic Circle in 2017. Yamal LNG will supply the Spanish partner with 2.5 million tons of gas over 25 years. This volume accounts for about 12 percent of Spain's gas consumption back in 2015, Vedomosti business daily reports. 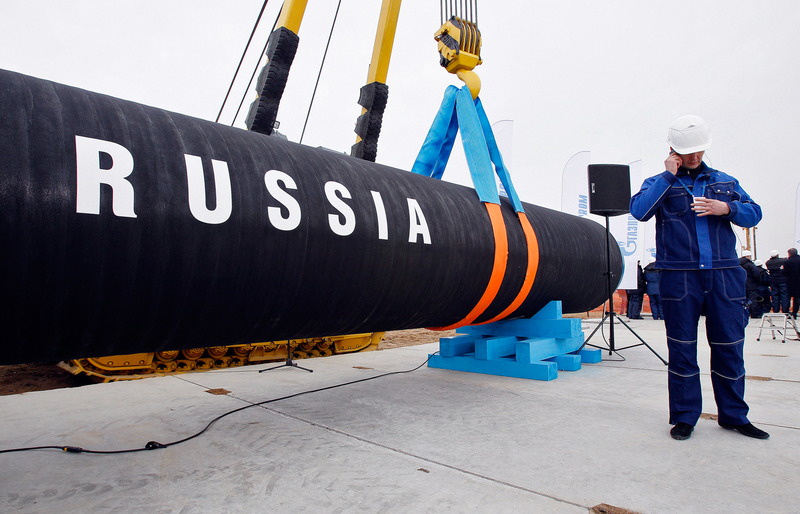 For Spain, which has no access to any of Russia's existing gas pipelines, the deal with Yamal LNG is hugely important. The country does not have its own gas sources, whereas its gas consumption has been growing since 2014, following several years of low demand, says Alexey Grivach, deputy director of Russia's National Energy Security Fund. Grivach says that Spain currently leads the EU in LNG imports. Spain used to be completely independent from Russian gas. It used to import most of its fuel from Algeria (51 percent), France (12 percent), Qatar (11 percent), Nigeria (10 percent), and Trinidad and Tobago (six percent). In April 2016, Gas Natural Fenosa Spain signed a 20-year LNG supply contract with U.S. company Cheniere, the operator of the Sabine Pass terminal, for up to 4.9 billion cubic meters per year. However, in 2016 Gas Natural Fenosa vessels brought in U.S. LNG only three times, to a combined total of no more than 300 million cubic meters, British oil and gas analytical agency Argus Media reports. One possible reason why Spain has turned to Russian LNG is that Russian gas producers offer much more competitive prices than U.S. companies, Grivach notes. In the current situation, the Yamal LNG gas would be priced at $210 per 1,000 cubic meters, says Alexander Sobko, an analyst with the Energy Center at the Skolkovo Moscow School of Management. U.S.-sourced LNG would come at a somewhat higher price, $245 per 1,000 cubic meters, because the liquefaction and transportation to Europe will have to be factored in. “These figures may yet change though, because the pricing specified in the two contracts are fundamentally different,” Sobko stresses. The U.S. LNG price might rise or fall depending on America’s domestic prices for pipeline gas. The Yamal-sourced gas could also become more expensive, should crude prices rise. Even though Spain imports significant LNG amounts, it also re-exports some of it. Gas Natural Fenosa has already earned itself a reputation not just a domestic gas importer but also as an LNG traded. “This means that in reality, the LNG it purchases may end up on other markets; everything depends on the domestic demand in Spain and its pipeline gas importing capacities.” Sobko believes. The Yamal LNG project is estimated to be worth $27 billion. German and Swedish financial institutions have expressed an interest in investing 200 million euros in the Yamal liquefying facility, Leonid Mikhelson, chairman of the board at Yamal LNG parent company Novatek, announced. According to Mikhelson, 96 percent of the LNG facility's projected output has been sold to date. The project calls for around 16.5 million tons to be produced annually, in addition to 1.2 million tons of gas condensate. These products will be supplied to the Asia-Pacific and European markets. The company's clients include Engie, Shell International Trading Middle East, and Gazprom Marketing & Trading Singapore. The Yamal LNG project is utilizing the Yuzhno-Tambeyskoye gas field on Yamal Peninsula. It’s jointly operated by Novatek (50.1 percent), Total (20 percent), CNPC (20 percent), and the Silk Road Fund (9.9 percent). The proved and probable reserves of the field, calculated in accordance with the PRMS standards, amount to 926 billion cubic meters of gas.